The Sun Newspaper Monday 23rd July 2018. State Officers are expected to contact their respective Local Media Houses and advertise the examination on a regular basis using the Radio Jingle Message enclosed. This should be done 20 times during the registration period. 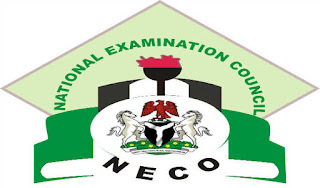 Is NECO GCE form out? How much is NECO GCE form? When is NECO GCE registration closing date? The Cafe will have to download and install a Biometric Fingerprint scanner to capture your data. Those with mismatched fingerprints at the point of verification will not be allowed to sit for the examination. Candidates who had done one or more SSCE exams such as NECO or WAEC in the past are eligible to register. Candidates who are still in secondary schools - class 1 to 3, can equally apply. During the registration, you're to choose a town of exams - among the list given/shown. NECO reserves the right to place you to any center within the town or its environs. The Registration card fee is Eleven Thousand Three Hundred and Fifty Naira (N11,350) only, excluding Fifty Naira (N50) Stamp Duty. Passport Photograph of candidates will also be required during online registration. The passport photograph should NOT be more than six months old and must be of a white background. Each candidate is expected to download ONE (1) clear copy of the Attestation Card from the cyber café where he/she registers. Registration period begins on Monday 16th July and ends on Tuesday 9th October 2018 at 12.00 midnight. THE REGISTRATION FEE DOES NOT INCLUDE THE USUAL SERVICE COST CHARGED FOR REGISTRATION BY THE ACCREDITED CYBER CAFES. As earlier mentioned, registration is strictly online and biometric data capture is an integral part. The use of reputable Cyber cafes with good facilities is highly recommended as the Council will not be liable for registration errors committed by candidates. Download Biometric Application: In order to carry out NECO Registration on any computer you need to install the Biometrics Application and Scanner drivers on that computer. Download here. Candidates are no longer required to stamp or submit their attestation/photo cards in NECO state offices. Blind Candidates: Blind candidates are to register like everyone. However, they are to inform the NECO State Officer of the State where they intend to write the Examination, immediately after they register. A copy of each blind candidate’s Attestation Card should be collected by the State Officer for further action. Blind Candidates and Albinos: Please note that the Albinos and Blind Candidates are to be given 30 minutes extra time across all papers. Center Coordinators: Principal of schools that are to be used as centers for this Examination will, as usual, be appointed as Coordinators. Please, liaise with them to ensure that they give the necessary support for the successful conduct of the Examination.